Klingberg Family Centers was awarded the Robert T. Kenney Scholarship through the American Savings Foundation with a summer intern. The Staff Development Department worked with the American Savings Foundation to hire Roisin Healy. Roisin is an undergraduate at UConn entering her junior year. She is a Psychological Sciences Major and a Neuroscience Minor with the expected graduation date of May 2019. The internship period was from May 22, 2017 until August 3, 2017. Roisin made a positive impression from the start. She was bright, positive and her confidence was evident in her firm handshake. She jumped right into the required trainings with ease and completed a total of 315 hours. Her schedule varied as necessary to complete specific trainings and tasks in preparation of trainings as well as day-to-day functions. 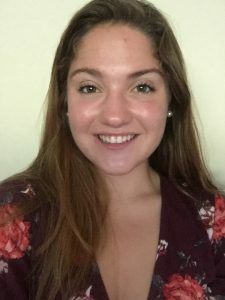 Roisin began her internship by attending a full week of Therapeutic Crisis Intervention (TCI), a training model developed by Cornell University’s Residential Child Care Project (RCCP) and used by Klingberg Family Centers. Although Roisin did not necessarily require the training for her position, it was important for her to gain knowledge and understanding of our client population. This was a 30+ hour training with certification. Roisin additionally attended New Employee Orientation (NEO); Risking Connection (RC), a three-day training curriculum for working with survivors of childhood abuse; and a Cardio Pulmonary Resuscitation/First Aid/Automated External Defibrillator (CPR/FA/AED) Challenge Course through the American Red Cross, gaining certification for two years. During her internship, Roisin was eager to learn and to experience many facets of the agency. She was able to observe the Raymond Hill School, our special education day school, and attended several committee meetings, including Health & Safety, Cultural Competency Committee, and a trainers’ meeting for Risking Connection. Roisin was exceptionally helpful to our administrative assistants by making copies, inputting data, and greeting clients through reception. She also spent time with our Outpatient Clinic (OPC) working under the director to gain insight into therapy. During all of this, Roisin did preliminary research for The Traumatic Stress Institute (TSI) around the Adverse Childhood Experiences Study (ACES). Roisin formulated a summary after posing a question to begin a dialogue on the subject. From that the director of TSI will be able to do additional work. Roisin was integral in the Staff Development Department as well. She often took the initiative to help set up and clean up after trainings. She effortlessly compiled the training calendar and coordinated enrollment links to each of the trainings for a year. Her attention to detail and efficiency was always remarkable. Roisin was also helpful in the day to day administrative tasks necessary to maintain this department and keep track of our 300+ employees’ trainings. She helped to maintain Excel spreadsheets and did filing, and also shared her knowledge of several applications to benefit the department. This was Klingberg Family Center’s first experience with an intern through the American Savings Foundation and it was quite favorable. Roisin was just a delight. She was always eager to learn and to help in any way necessary. We appreciated her positive attitude and teamwork approach, and trust that she will return to work with us in some way in the future!